@EsteeLauder Double Wear foundation is definitely having a moment… again. I’ve run into so many people who are loving it or are thinking of trying it, and I recommend it because I’m wearing the new Fresh Water version these days! 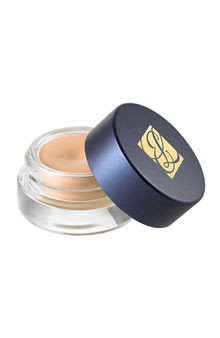 Back when Estee Lauder Double Wear products were released, I was completely taken in by their powder foundation. It stayed on and absorbed oil so well – plus I found a perfect match for my skin. The Double Wear Foundation line so blew me away that at the time I didn’t even notice that the line also included an eyeshadow base! I tried, I liked. Now, I want to say that this neutral-coloured cream turns into a powder, but it doesn’t. It does dry but stays a little creamy on the skin. Nevertheless, I was able to blend eyeshadow on top pretty easily and I did notice that it “stuck” more than usual. The colours showed up as more vibrant and the colour of the primer didn’t affect them at all (though the primer was nearly colourless on me). All in all, this base isn’t as “strong” as my Urban Decay Primer Potion but it’s not as drying either. If I have a day in doors with the air conditioning on, this base is perfect. My eyeshadow lasts and lasts with minimal creasing. This is available at all Estee Lauder counters. $24.